Win a Drew Struzan Star Wars: The Force Awakens poster from D23! MakingStarWars.net’s Now, This is Podcasting! 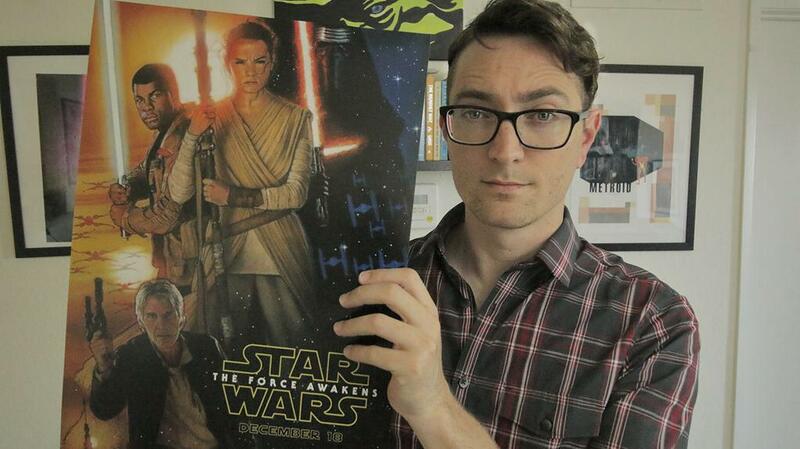 is giving away a Drew Struzan Star Wars: The Force Awakens poster! This poster was given out to the 7000 people that attended the Star Wars panel last weekend. Podcast host not included. Sold separately. Go to iTunes and rate the podcast. You can be honest, but positive reviews are preferred. E-mail us a copy of the review to MSWPodPeople@gmail.com with the subject STRUZAN as well so we can contact you afterward. We will choose a winner to be announced on Episode 92 of the show. Thank you for your support of the podcast–we really appreciate it and I hope you win! Thanks to Randy for giving up his poster for the Pod People of this planet!